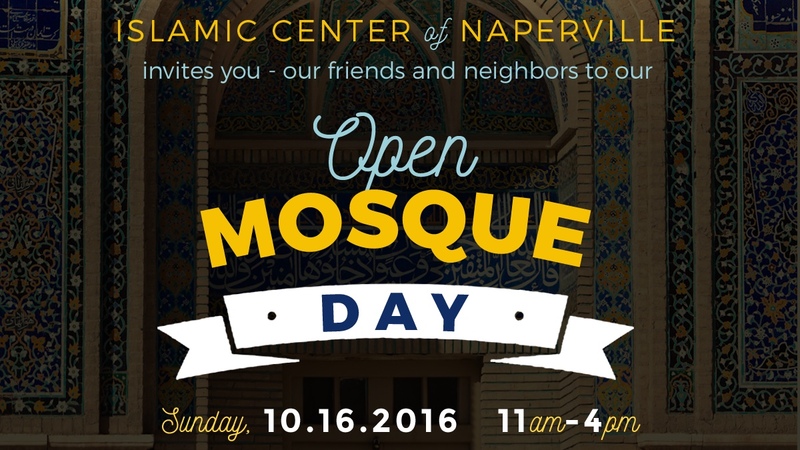 Islamic Center of Naperville invites you, our friends and neighbors, to our Open Mosque Day on October 16th from 1pm to 4pm. This is a free event. 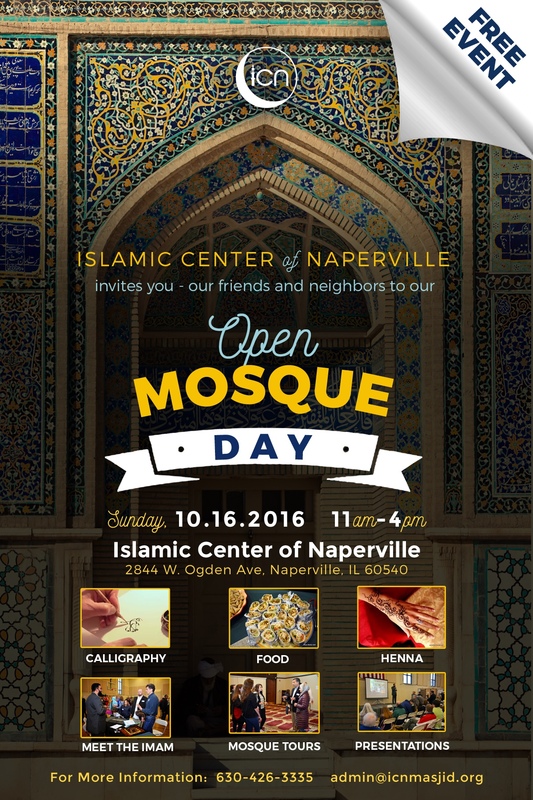 More information in the flyer below.